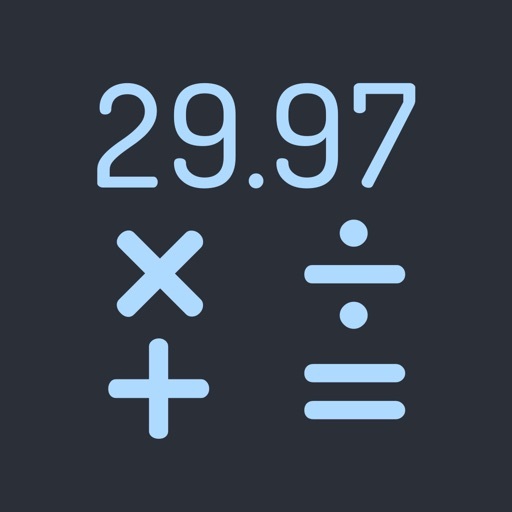 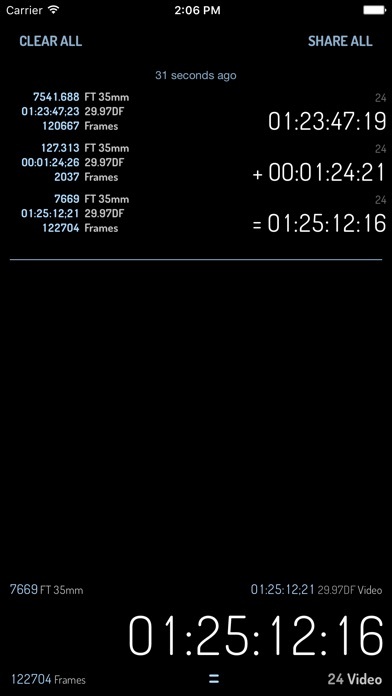 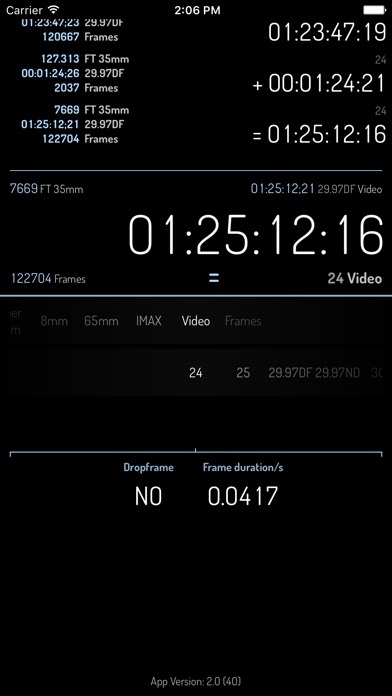 Timecode by Panoptik is the most attractive Timecode calculator on the market. 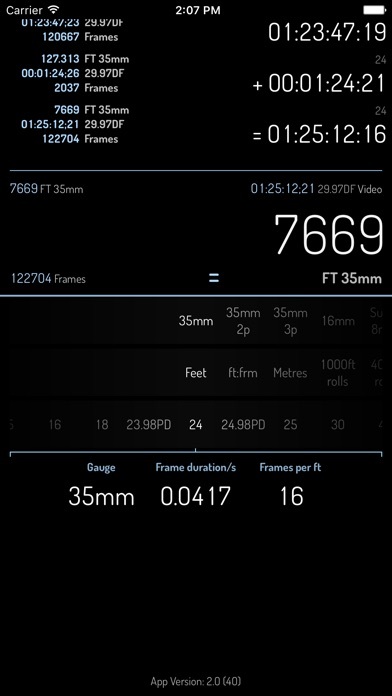 It is the only professional choice for performing fast, ultra-precise timecode calculations and film unit conversions. 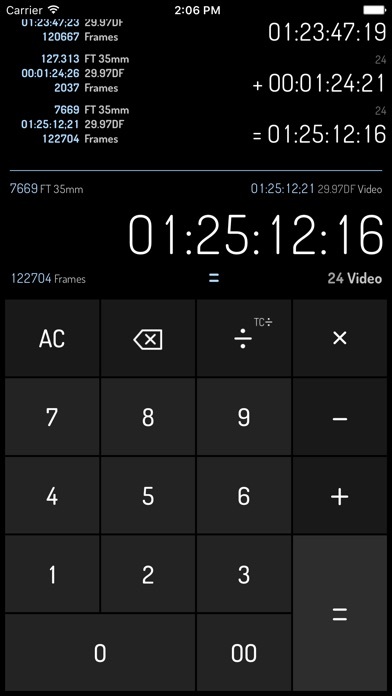 Using Timecode, you can calculate and convert any timecode into any other timecode or unit at the touch of a button.